Okay, there is my last thought on apartment decorating. Thanks for bearing with me. 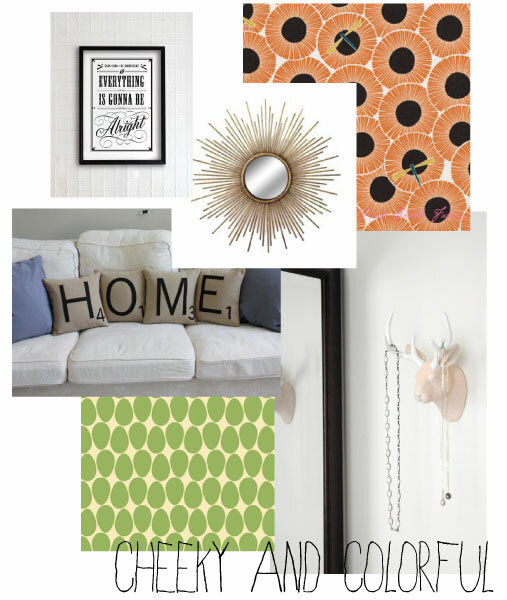 What about decorating an apartment with bright colors, interesting abstract art, and silly things? I could definitely use some more whimsy in my science-driven life. This theme reminds me a lot of my sister, who is one of the most creative and fun people I’ve ever known. When we were kids, her bedroom was filled with hundreds of Pez dispensers and her cool acrylic paintings. I still have her paintings of an old guy smoking, a kitty “sleeping” on a rug, and Batman speaking in apostrophes hanging on our walls. 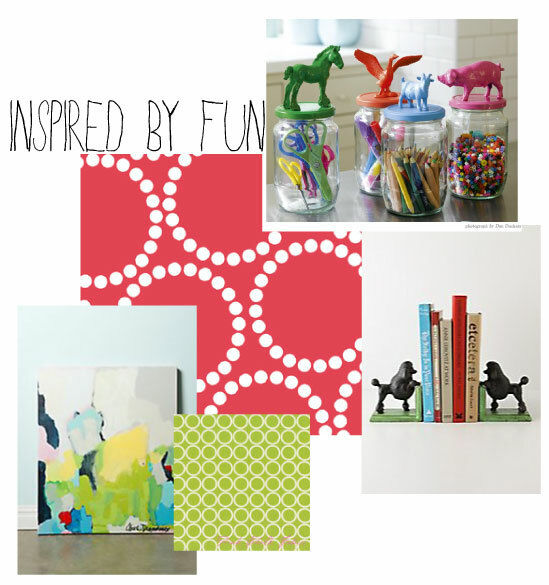 What a playful source of inspiration! Day 9 complete. 21 days to go!